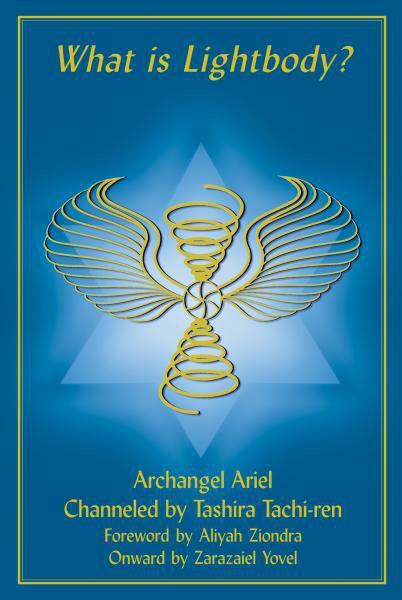 Because you are reading this, says Archangel Ariel, you are a Lightworker and you are here with a job to do. You are here to assist in the transition of planet Earth into Light. . . . This book presents you with a model which describes what's going on in this process . . . There is a need for this information to go out because the fear level is so very high . . . If you know what's happening to you and know that it's part of a coherent process, then you feel less crazy. In this book Tachi-Ren (who is an Angelic walk-in) articulates the Lightbody process creating models technologies and meditations to support the ascension at every level. includes invocations portions and helpful questions and answers. Tashira Tachi-ren KSC is a walk-in who arrived on the planet on July 11, 1985. She is the essence of Divine Loving Will with a divine function of Holographic Harmonization.. She channels for the Council of Ein Soph and specializes in developing techniques, technologies, and articulations to support the Lightbody process and the manifestation of Heaven on Earth. Notify me of updates to WHAT IS LIGHTBODY?